Futuristic Tiles Resource Pack | Make Your Own Video Game! 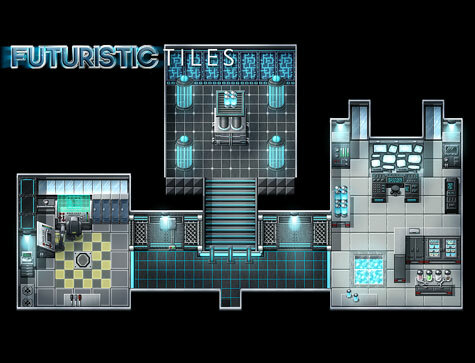 This futuristic tileset gives you the power to create a plethora of beautiful futuristic environments for your games. Finally, your games can embrace the future! Something straight out of science fiction, an apocalyptic world filled with violence, grunge and crime, or just a sleeker version of our modern life? With our new futuristic tiles, you can unleash your imagination and create them all!